“For our struggle is not against flesh and blood, but against the rulers, against the authorities, against the powers of this dark world and against the spiritual forces of evil in the heavenly realms.” (Ephesians 6:12) Every day we awake to a new day that has an invisible war raging violently all about us – a spiritual war which the Bible defines as an intense “struggle (“wrestle” Amplified Bible) … against (the) spiritual forces of evil (i.e. Satan and his demons).” At that supposition, many may ask, ”But why does Satan and the forces of evil want to rage war against me?” The answer is quite simple - as a Christian, you and I bear the very likeness of our Creator, a truth which is affirmed in Genesis 1:27, “God created man in His own image, in the image and likeness of God He created him.” (Amplified Bible) We need to understand that Satan (first referred to as the archangel ‘Lucifer’) led a prideful rebellion in heaven and was solidly defeated by God (Isaiah 14:12-17). The result of this victory had God expelling Satan and 1/3rd of the angels who had followed him (referred to now as ‘demons’ = ‘fallen angels’) from heaven, never to return (Ezekiel 28:12-19). This defeat, combined with Christ’s victory upon the Cross at Calvary, has left Satan and his demons viciously determined to do everything they can to “steal, kill and destroy” (John 10:10) anything or anyone that reflects or reminds them of the divine image of the victorious One who defeated them ... God. So if you are a genuine follower of Jesus Christ, you can be sure that you too are “Public Enemy #1” to Satan and his “spiritual forces of evil.” These spiritual enemies are committed to daily assaulting you in their attempts to defeat you (i.e. steal your spiritual victories) as a soldier in God’s Kingdom of Light. Florence Nightingale, a pioneer in nursing and professed Christian, affirmed this daily struggle when she once wrote, “Life is a hard fight, a struggle, a wrestling with the principle of evil, hand to hand, foot to foot. Every inch of the way is disputed.” Does this description of this spiritual war sound familiar to YOU … constant battles & attacks in seemingly all areas of your life (relationships, finances, health, family, job, thought life, etc. ), recurring seasons of discouragement, bouts with doubt and anger or constricting worry and anxiety? These, and many others forms of attacks, are all common battle strategies which our enemy uses to fulfill his mission in destroying that which reminds him of God … God’s people (Christians)! This is the reason for the warning issued in 1 Peter 5:8, “Stay alert. The Devil is poised to pounce, and would like nothing better than to catch you napping. Keep your guard up.” (The Message) The Amplified Bible of this verse reads, “Be vigilant and cautious at all times; for that enemy of yours, the devil, roams around like a lion roaring [in fierce hunger (i.e. “having the insatiable appetite” which I spoke of in Pt 1 of this series)], seeking someone to seize upon and devour.” Our enemy is not playing games – he is in it to win it for his Kingdom of Darkness … and sadly he seems to be winning more victories and inflicting more casualties while capturing more territory in our day than perhaps ever before in history. 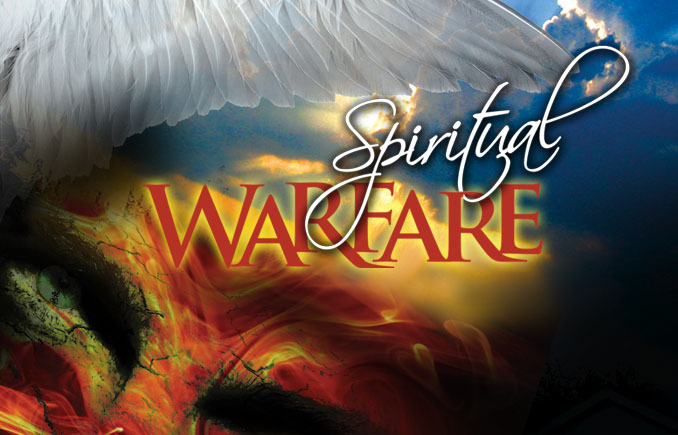 Yet surprisingly, in many of today’s churches, the concept of ‘spiritual warfare’ seems to be a bit far-fetched / unrealistic and is often dismissed or briefly addressed at best. In fact, Satan would love nothing more than to convince you and I that this so called “invisible war” is completely non-existent, or that is nothing more than a skirmish reserved only for those who hold leadership positions in God’s army (e.g. Pastors, Teachers; James 3:1). These are mere lies of his that he continuously seeks to sow in the hearts and minds of God’s people just as God’s Word warns us - “(Satan) has always hated the truth, because there is no truth in him. 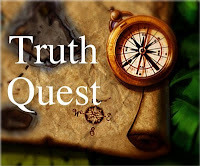 When he lies, it is consistent with his character; for he is a liar and the father of lies.” (John 8:44, NLT) So as Christians, you and I must listen to the “Voice of Truth” that tells us that we have a real archenemy (Satan) who leads a real army of demons who daily fight against us in a real war (‘Spiritual Warfare,’ Ephesians 6:12) with battle orders to destroy Christians and their witness of God’s Son, Jesus! Let's answer God's call to arms in this raging battle today and "fight the good fight of faith! "(1 Timothy 6:12) …Selah! Today's Spirit-led video by CCM artist Stephen Curtis Chapman and can be viewed by clicking on the on one of his classic songs, "Bring It On." Following the Lord's leading, I have added the lyrics below to today's CCM song, "Bring It On" sung by Stephen Curtis Chapman ... nJoy & allow Christ to encourage you for the battles ahead! "I didn’t come lookin’ for trouble / And I don’t want to fight needlessly / But I’m not gonna hide in a bubble / If trouble comes for me / I can feel my heart beating faster / I can tell something’s coming down / But if it’s gonna make me grow stronger then…Bring it on / Let the lightning flash, let the thunder roll, let the storm winds blow / Bring it on / Let the trouble come, let the hard rain fall, let it make me strong / Bring it on / Now, maybe you’re thinkin’ I’m crazy / And maybe I need to explain some things / Cause I know I’ve got an enemy waiting / Who wants to bring me pain / But what he never seems to remember / What he means for evil God works for good / So I will not retreat or surrender / Now, I don’t want to sound like some hero / Cause it’s God alone that my hope is in / But I’m not gonna run from the very things / That would drive me closer to Him / So bring it on / Bring it on / Let the lightning flash, let the thunder roll, let the storm winds blow / Bring it on / Let the trouble come, let it make me fall on the One who’s strong / Bring it on / Let the lightning flash, let the thunder roll, let the storm winds blow / Bring it on / Let me be made weak so I’ll know the strength of the One who’s strong / Bring it on / Bring it on!"